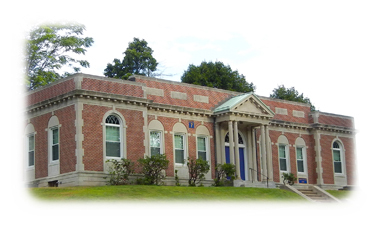 The newly renovated Connecticut State Police Museum and Educational Center is located in Meriden Connecticut on what were the grounds of the Meriden School for Boys and what is now the State Police Mulcahy Complex at 294 Colony Street, Building #7. The hours of operation are currently Fridays from 12:30 to 3:30 and Saturdays from Noon to 4:00 p.m.. Other appointment times during the week are available to groups on request. Admission is free, however we gratefully accept donations. This project was accomplished with donations from our members and friends and no tax dollars were spent in its creation. The tour guides and preservation staff are all volunteers.